The workers' compensation system provides benefits to employees who have been hurt on the job. In Massachusetts, the Department of Industrial Accidents (DIA), a state agency, administers these benefits. Social Security Disability Insurance (SSDI) benefits, which are offered to people with various disabilities, are administered by the federal government. If you qualify for both of these benefits, your workers' compensation can affect your SSDI benefits, although the latter may not be affected by the former. You can consult an experienced workers' compensation lawyer about the potential impact of SSDI claims on your benefits, and vice versa. A Boston SSDI claim lawyer at Pulgini & Norton can guide you through this process. Although both are designed to help injured, sick, or disabled individuals, there are a number of significant differences between workers' compensation benefits and SSDI benefits. Employers in Massachusetts are required to procure workers' compensation insurance for their employees, who are insured for workers' compensation benefits starting with their first day of employment. Claimants are eligible for SSDI, however, only if they have worked five of the prior 10 years and paid Federal Insurance Contribution Act (FICA) taxes during that time. Workers' compensation benefits are provided whether you have partial or total disability, and for long or shorter terms. SSDI is only for people who have a long-term disability (a disability that lasts for more than a year) that keeps them from staying employed. Although it is conditioned on your work history, SSDI covers disabilities even when an injury is not job-related. Receiving a workers' compensation lump sum settlement can reduce how much SSDI you receive. Many employees who receive workers' compensation benefits have their health insurance canceled after a certain point. Social Security benefits can provide you with Medicare coverage after the second year of your entitlement. However, you should be aware that the Social Security Administration may be entitled to an offset of your monthly SSDI benefit if you are also receiving weekly workers' compensation benefits. A combination of these benefits can be collected, however, up to a maximum of 80% of your average current earnings, which is the maximum gross wages earned in any single tax year in the five years prior to your work injury. In some cases, it is better to ask an attorney to negotiate a lump sum settlement related to your workers' compensation benefits. It may be helpful to note in the settlement agreement that the lump sum should be spread over your lifetime. Sometimes this method decreases the offset or eliminates it. Since the benefits can be prorated over a life expectancy, you can still collect the SSDI benefits to which you are entitled if not for the offset. In order to have the lump sum considered as monthly payments, the original settlement agreement must include an amortization provision. It is not permissible to add the amortization to an existing settlement. Moreover, it can be complicated to figure out whether the lump sum settlement is beneficial, partly because the offset rules are not applied uniformly. If you were injured on the job, you should be aware of the potential impact of SSDI claims on your workers' compensation claim and how to best structure a workers' compensation settlement to avoid detrimental effects to your SSDI. 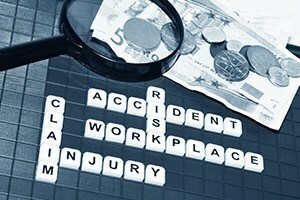 It is important for injured individuals to consult a workplace accident attorney who understands this area of the law. At Pulgini & Norton, our workers’ compensation attorneys represent Boston residents as well as people in Braintree, Brookline, Lowell, and other Massachusetts cities. Call us at 781-843-2200 or contact us via our online form to schedule a free consultation.